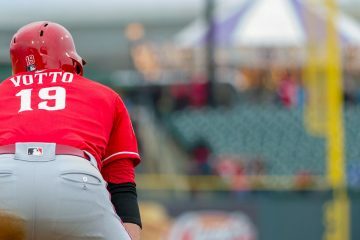 The Cincinnati Reds fell to the Colorado Rockies on Monday afternoon by a score of 6-3. They will play under the lights tonight, taking on the Chicago White Sox at home in Goodyear. The game will begin at 9:05pm ET. 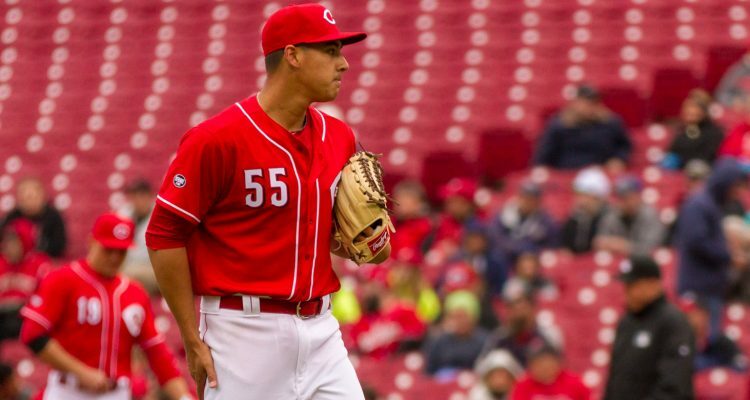 Also scheduled to pitch today for the Cincinnati Reds: Zach Duke, Sal Romano, Cody Reed, Matt Bowman, and Robert Stephenson. The game will be live on the Reds on Radio network. In Cincinnati the game will be on 700 WLW. You will be able to watch the game live on Fox Sports Ohio and MLB.tv. Kemp has batted 3rd in quite a few games. Is this a sign of things to come? This just in …. Castillo to start on Opening Day. I guess spring training doesn’t mean much after all. Wood injured, grey ramping up still, but that still leaves 2 without explanation. That was a nice bunt. The app is calling a scaline strike zone. Sims has pretty decent stuff, but he’s had a bad spring. Senzel with a leadoff double and doesn’t score. Votto just exited off I-95 onto I-91. They should just let him play the whole game so maybe he can get a knock off the mop-up guy. Brewers are looking to make a big improvement if they sign Craig Kimbrel. I don’t think we’ll get a wildcard out of the NL Central. 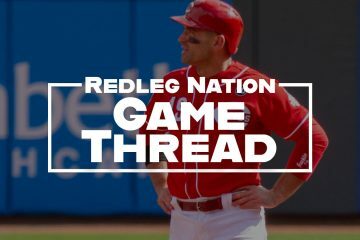 Looking at the pirates and cards, abd 4 straight 90 loss seasons, it’s time to ask if the reds did enough in the off season to have a winning bullpen. I don’t think they did. If Iglesias and Garrett aren’t near All stars… This team isnt an 81 win team. Nice pick and throw by Peraza. More or that please. Ah, now we finally get a look at Stephenson in game action. Wow, Chris needs a lesson on the DFA process. 8 pitches & 3 outs. Nice! I was listening to the game and was working when Stephenson was pitching but, it sounded like he had a pretty good outing. It seemed like he threw strikes. that’s going to be interesting. How to keep him around. And a really nice AB by Peraza, resulting in an RBI single up the middle under the SS glove. Peraza really stung that pitch. Then Peraza steals 2B to put a runner back in scoring position. Now that was a fun game to watch, even if it was a ST game. Both teams were focused on winning and that included the managers. I find it odd how the “Ghost” runner, or whatever he is called, is scored as an earned run on the pitcher, even though he did not allow him to be put on 2nd base, but instead is just placed there. Seems a bit unfair for an extra inning pitcher to have that run charged against him. On that note, I’m not sure how he’d be an unearned run either. Seems when you start making up silly new rules that it should also be cause for a new added stat.